Ready for something incredible? 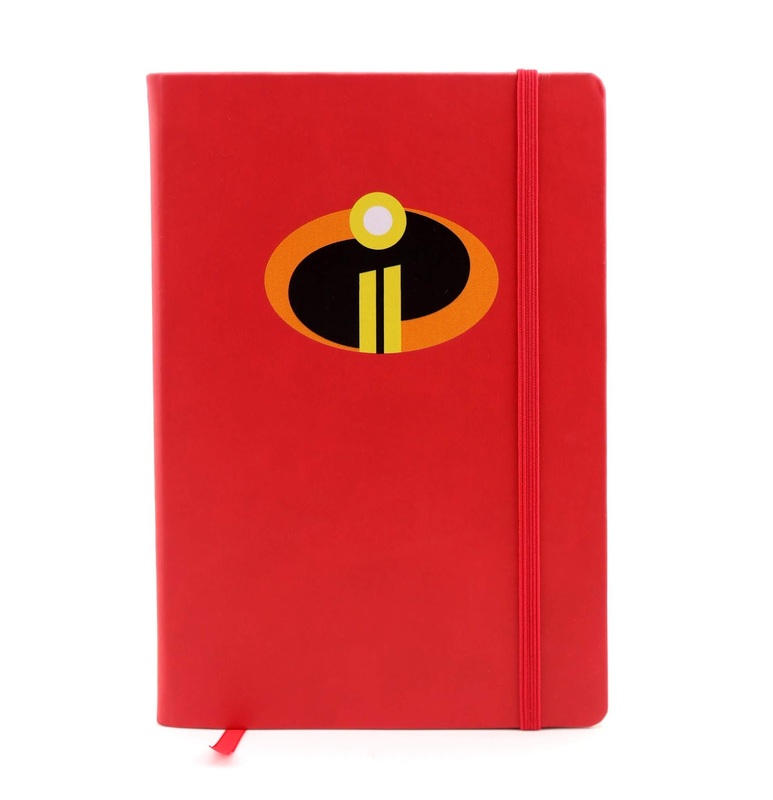 This simple yet striking Incredibles 2 icon notebook is available now exclusively at the Pixar Studio Store in Emeryville, CA! This is a classic style hardcover journal with 192 ivory lined pages, elastic band closure and a ribbon bookmark. 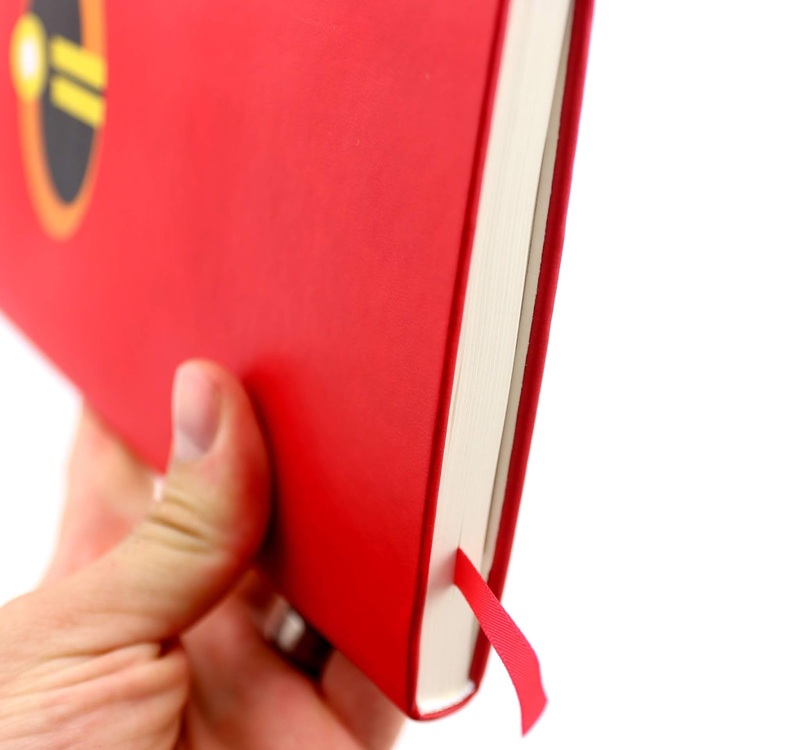 There's even an interior gusseted pocket on back inside cover to fit additional notes. It measures 5.5" x 8.5" in size and retails for $17 there at the studio (again, this store is not open to the public). I love any and all merch from the Studio Store and this one is no exception! Such a rare treat. I was so excited to get this as a surprise recently from my good friend and supporter, [Disney freelance Artist] Jerrod Maruyama, and I can't thank him enough! He's seriously the best. Make sure you check out his art (though you probably already know it if you're a big Disney fan) and give him some support as well. 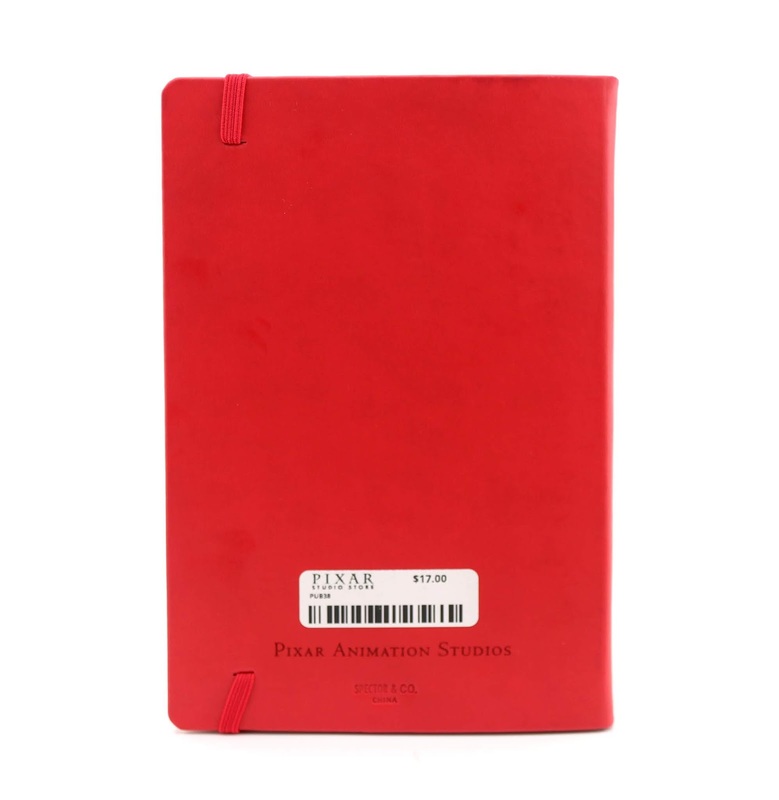 On the back you'll notice the "Pixar Animation Studios" embossed lettering and the company which produced the notebook—Spector & Co. 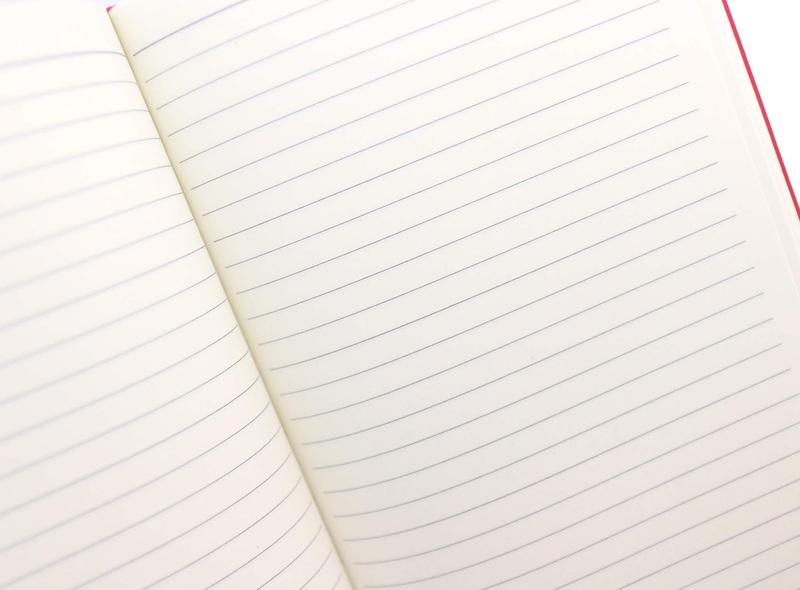 They have some fantastic basic colored journals of this same style on this site HERE! Really nice stuff and I feel lucky to have this in my collection. 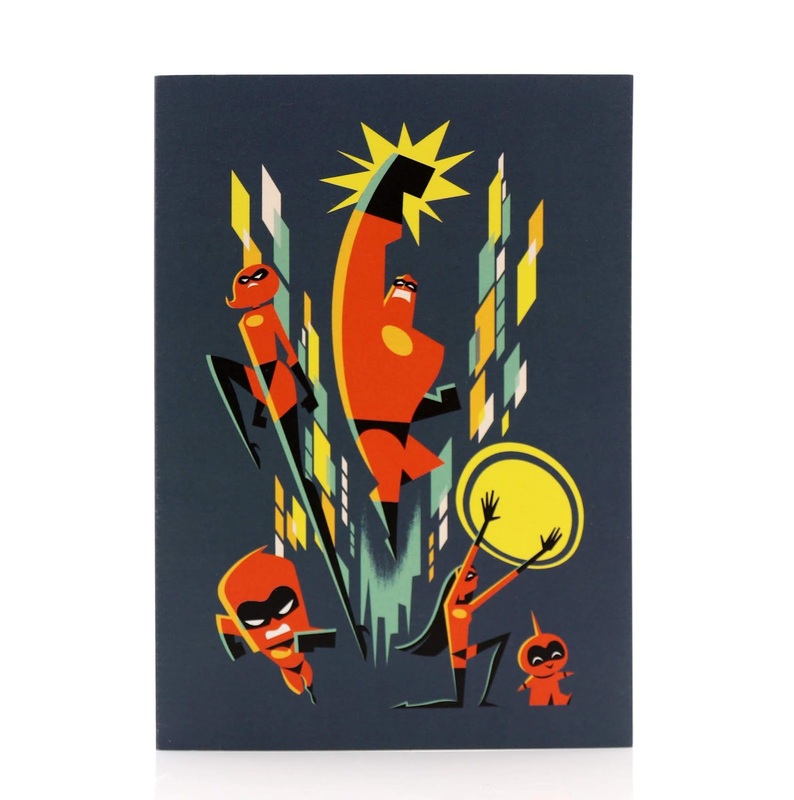 As a bonus item today, I also wanted to share this Incredibles 2 note card featuring the epic graphic art of Eric Tan! I absolutely love this. I'm especially excited to have this art in card form, since I wasn't able to get (and don't have the space for) a full size print of it. This was also sent to me by Jerrod (thanks again my brotha) and is another item you can find right now only within the Studio Store. The card is 5" x 7" in size and is blank on the inside to write your own sentiments. 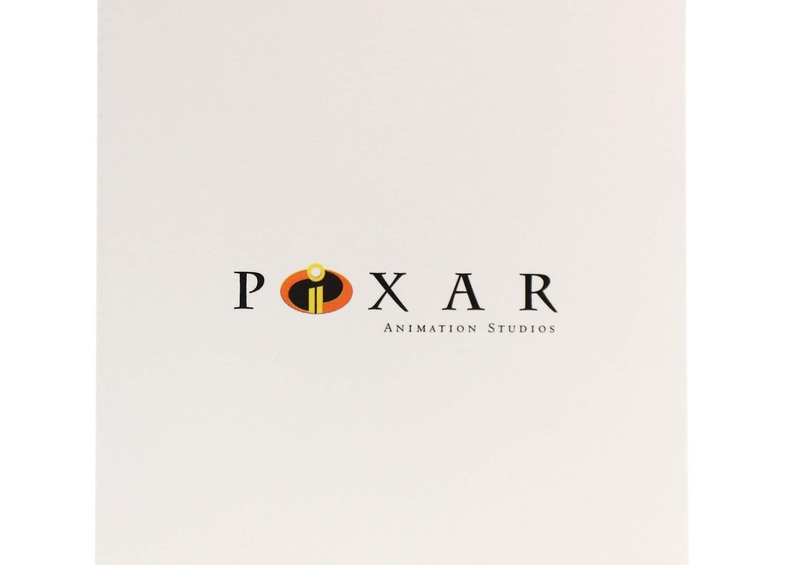 Pixar's logo can be found on the back (minimal like usual) with the Incredibles 2 'i" icon brilliantly in the place of Pixar's "i." Classic. What do you think of the journal and note card? I'm so grateful to have some of this Pixar Studio Store merch and happy that I can document everything on here for all you to discover. Looking forward to hearing your thoughts down below! Stay tuned right here for even more from my ever expanding collection of Pixar toys, art and collectibles.